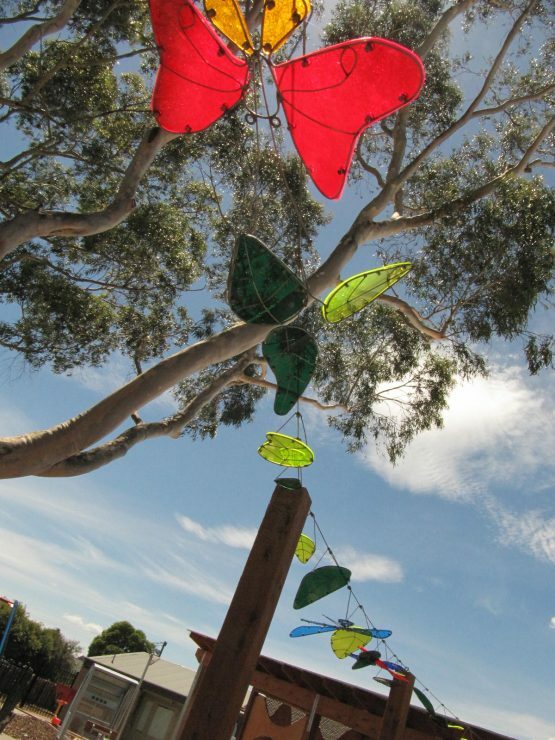 Glenallen school has just celebrated the opening of their very special new playground. 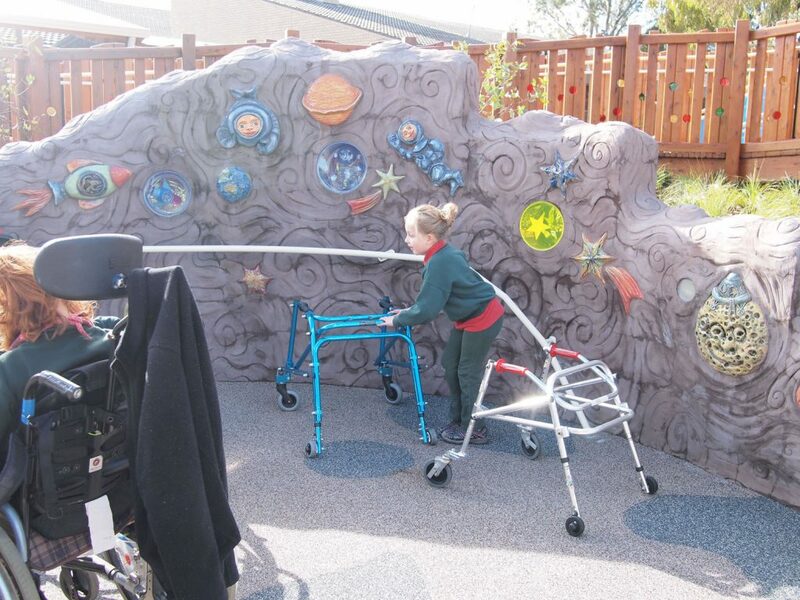 The school caters for students with a physical disability or health impairment and many of the students are in wheelchairs. 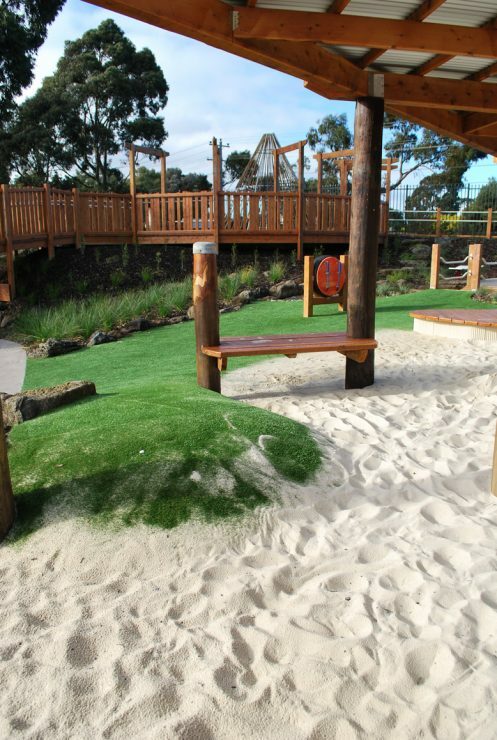 The new playground has been custom designed by Jeavons to be accessible to all. 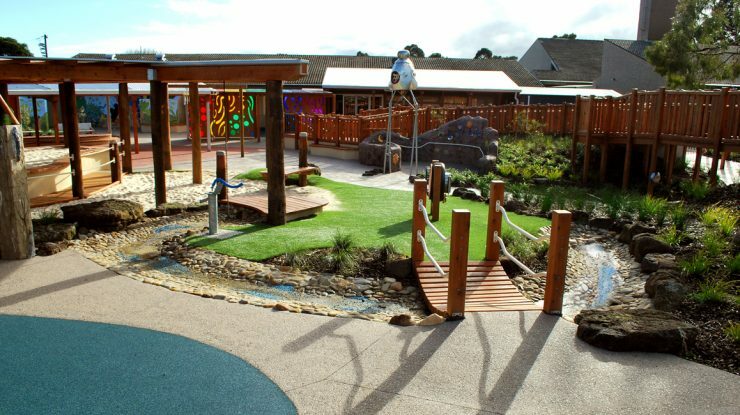 It is a place for learning and play with the aim that all students have the opportunity to experience fun & friendship. 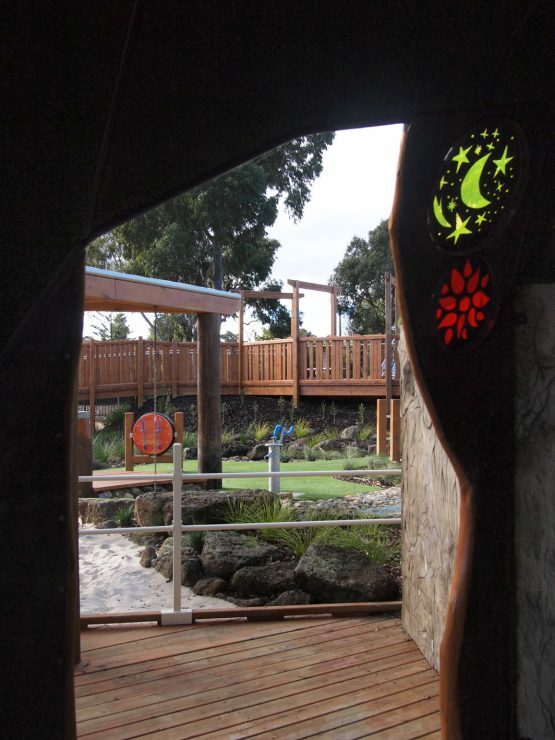 The design is based around a story called “Let’s Play …” and features many different areas where children can let their imagine run wild – driving the train & pulling the whistle, inside the helicopter , exploring the cave, camping in a tee pee, at a beach or even flying to the moon. 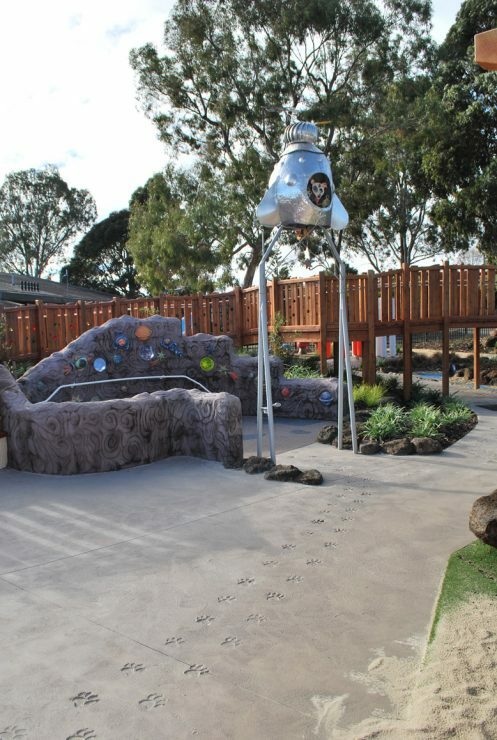 The school has pursued their vision for this project for many years so it was a great joy to see the students finally enjoying this wonderful space. Interactive musical sculptures were created by Herb Jercher and quirky imaginative artworks by Honeyweather & Speight including the interactive rocket ship. 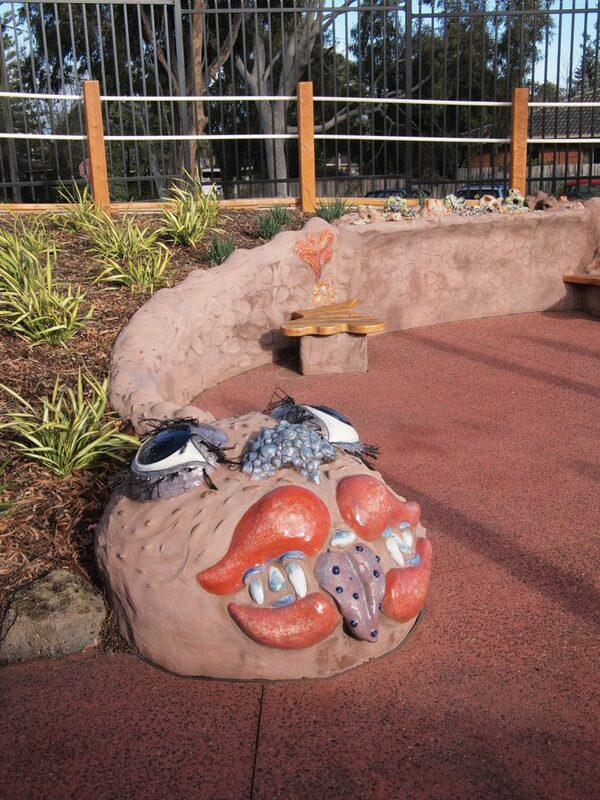 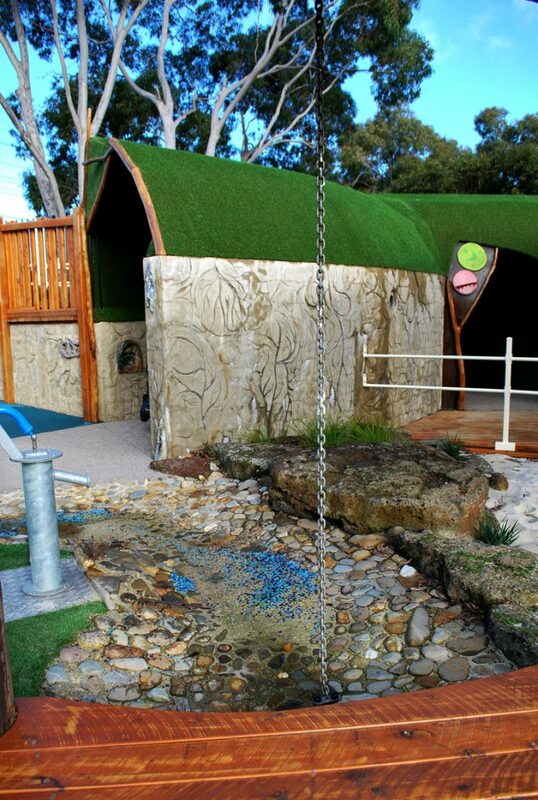 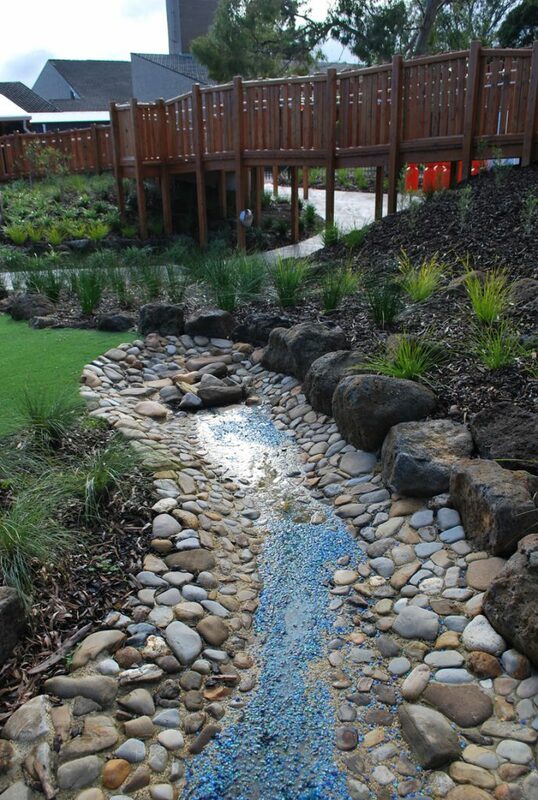 Customised play equipment was constructed by Allplay and the head contractor was Gemcan Constructions.